Lou, age 3, is a sweet, active German Shepherd ready for adoption at the Champaign County Animal Welfare League. Charlie is a friendly female pooch who likes children and even cats. She’s ready to be adopted at Barely Used Pets. Charlie is a 1 1/2-year-old shepherd mix. She weighs under 40 pounds She sits, is house-trained, walks on a leash and likes children and cats. Charlie will make a wonderful addition in the family. Her adoption fee is $150, which includes her dog license. Please come and take Charlie for a walk. Visitors and potential adopters are welcome during regular hours. Please visit our website: http://www.barelyusedpets.com. Also, like us on Facebook at Barely Used Pets Rescue (put spaces between the words). Barely Used Pets is located at 844 Jackson Hill Road in Urbana. You can give us a call at 937-869-8090. Our regular hours are Sunday 1-4 p.m., Wednesdays and Thursdays 11 a.m.-6 p.m., Fridays 11 a.m.-5 p.m. and Saturdays 11 a.m.-2 p.m. Contact the shelter for volunteer opportunities and donation needs. Lou is a 3-year-old German Shepherd who came to us as an owner surrender. Lou is a very sweet boy and knows his basic commands. He is very ball-driven and would like for someone to play ball with him all day long. Adopting Lou would require a meet and greet if there are other dogs in the home. We think he would do great in a home with older children who have been taught how to respect a dog’s personal space. He is neutered, microchipped and current on all vaccinations. Lou has been dewormed and heartworm-tested negative and is current on flea and heartworm prevention. Dog/cat adoption applications are at www.champaigncoanimalwelfareleague.com or pick one up at our facility during business hours. Adoption fee for puppies/dogs is $165. Lower rates apply for Senior Dogs. Fees cover spay/neuter, Da2PPL, Bivalent Flu, Bordetella, rabies, worming, heartworm test, flea and heartworm prevention and microchip. Pets are groomed and receive dental cleaning and polish with any necessary extractions. Only cash, credit or debit accepted. For info, call 937-834-5236 or stop out and take a tour of our campus, located at 3858 state Route 56, Mechanicsburg, OH 43044. Fall-winter hours are 10 a.m.-4 p.m. Sat. ; closed Sun./Mon. ; 10 a.m.-2 p.m. Tues.; 10 a.m.-5 p.m. Wed.; and 11 a.m.-5 p.m. Thurs./Fri.. A list of needed supplies, volunteer info and events are on our webpage and on Facebook. For dog and cat listings, check out adoptapet.com and petfinder.com. CCAWL members have access to our campus, indoor/outdoor dog park, grooming facility and more! Mixins & Fixins restaurant, M’burg, has a 1st Thursday of every month Beef & Noodle Dinner with 50 percent of proceeds going to CCAWL. Pizza Alley, Mechanicsburg donates 5 percent of all sales to the Champaign Co. Animal Welfare League. The nonprofit CCAWL rescue group was created to establish and operate an animal preserve, pet cemetery, dog training facility and rehab home for unwanted pets. The CCAWL provides a low cost Spay & Neuter Clinic open to the public. During business hours, pre-pay, fill out a surgery info paper and release form and receive a surgery date. Kroger Rewards Program: A portion of the shopping money you spend at your local Kroger can be donated to PAWS. Go to www.krogercommunityrewards.com and under Find an Organization, use PAWS number JC806. If you have any questions about the program, call 1-800-KROGERS (576-4377) and they’re happy to assist you. 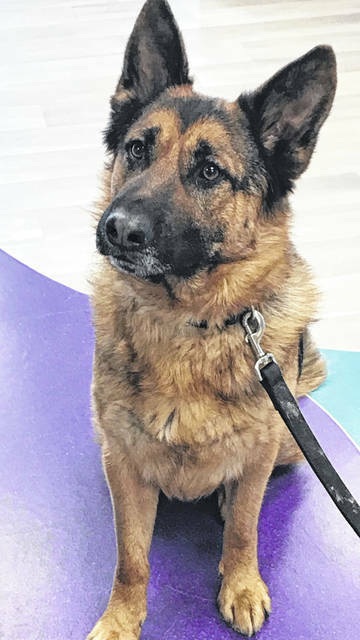 Adoption Event at PetSmart in Springfield: Sunday, April 14, from 1 to 4 p.m.
https://www.urbanacitizen.com/wp-content/uploads/sites/36/2019/04/web1_LeagueDog.jpegLou, age 3, is a sweet, active German Shepherd ready for adoption at the Champaign County Animal Welfare League. https://www.urbanacitizen.com/wp-content/uploads/sites/36/2019/04/web1_BarelyDog.jpgCharlie is a friendly female pooch who likes children and even cats. She’s ready to be adopted at Barely Used Pets. Submitted by shelters and rescues in Champaign County.